We saw the most magnificent rainbow last night when we came out of Meijers in Muskegon. It accompanied us for most of the trip back home It was a complete colorful arch. I knew the end of the rainbow was in the woods not too far off the highway, but my husband wouldn't go look for the treasure.... 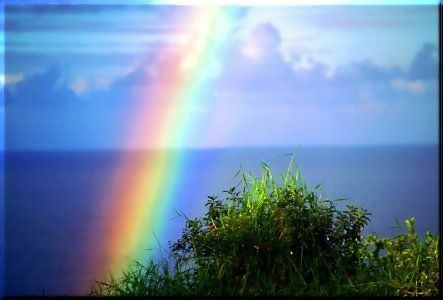 The beauty in the rainbow was priceless.